Achieve your marketing goals with video by reading our comprehensive video content planning guide. Start planning your video content the right way, right now. Create cost-effective video content that gets the results you need to hit your goals. 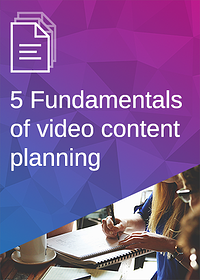 Download our 5 Fundamentals of Video Content Planning guide for expert tips on the steps to setting your video content up for success.